For the last 40 years, Earned Income Tax Credit made life better for millions of workers. You may have extra money waiting for you. If you qualify and claim the credit, it could be as much as $6,242 from the IRS for some workers. Oregon has one of the lowest rates of people claiming the EITC! Don’t be the one in five that misses this credit. If you or someone you know earned less than $53,267 from wages, running a business or farm or from Form 1099 MISC, check it out. It’s easy to find out if you qualify. Use the EITC Assistant, available late January, and answer questions about yourself and other family members to see if you qualify and estimate the amount of your credit. 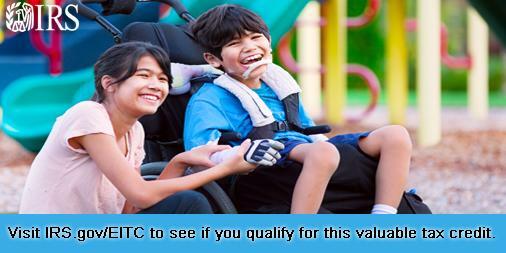 EITC eligibility depends on several factors, including income and family size. If you don’t have a qualifying child and earned under $20,330, find out if you qualify for a smaller credit, worth as much as $503. Don’t guess about EITC eligibility use the EITC Assistant to find out if you do qualify for EITC, And, see what other tax credits are available. If you qualify for the federal Earned Income Tax Credit (EITC), you can also claim the Oregon Earned Income Credit (EIC). Your Oregon EIC is 8 percent of your federal EITC if you’re a full-time resident, and 8 percent of your federal EITC multiplied by your Oregon percen​tage if you’re a part-year or nonresident.